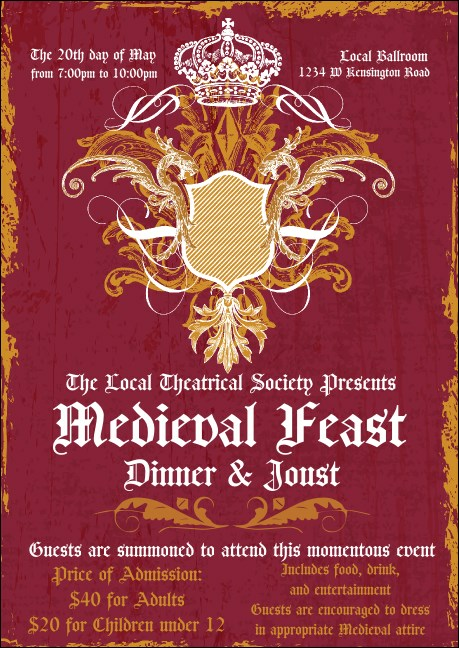 Create memorable promotions for your classic fest and choose the Medieval Banquet Postcard. Printed on high quality card stock, this elegant design features a shield and a crown over your event details. Send to your guest list or distribute in the community to find new fans! Send a royal message with TicketPrinting.com.